Why does my baby wake every hour? Every family is unique and we will work together to come up with a sleep plan that best suits your family and parenting style. My advice is always evidence-based, coupled with the experience of knowing what really works in practice. With a tailored plan, consistency and lots of support, I am confident that we can make some life changing improvements to your child’s sleep. Is exhaustation taking it's toll? I have been helping families to resolve sleep issues for 20 years, both in my previous role as a health visitor and now running my own sleep consultancy business. I can honestly say that sleep is one of the most frequently raised concerns by parents so you are not alone in your quest to get some help. As an experienced and qualified health professional, I take a holistic approach, considering all relevant factors which may be affecting your baby or child’s sleep, such as allergies, diet, or special needs. With 3 children of my own, I understand from first-hand experience how those frustrating days and sleep-deprived nights take their toll. Get in touch for a no obligation chat to see if you would like to work with me. “She was 14 months old when we turned to Rosy for help and I’m so glad we did. 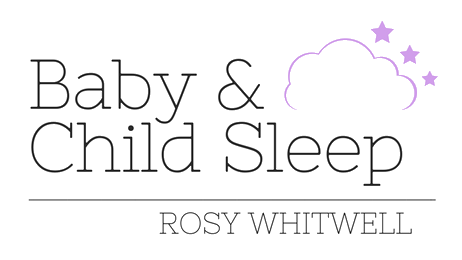 Ava didn’t nap well in the day and would wake at 9.30pm and then at least 3-4 times a night after that… I would recommend Rosy to anyone having problems with their child’s sleep; she is kind, patient and understanding and gave me the confidence to implement small but practical changes that made such a difference so quickly. Within a matter of days she started to go for longer periods and now sleeps through the night! We were suffering from several months of numerous night wakings and the lack of sleep had become unsustainable. Although the problem was initially linked to tummy trouble, our baby had become used to being cuddled half the night and couldn’t self-settle. Rosy was fantastic! Understanding, patient, non-judgemental, clear and always available to answer questions or listen to concerns. With her tailored plan and support we had the miracle of 11 hours sleep after 3 nights! Rosy’s help and advice have been invaluable. We were at a total loss with our 14 month old daughter. We’d spoken to our health visitor and GP but nothing had worked. After only a few (long) nights, I now have a baby that sleeps through the night! Everyone in the house has benefited from Rosy’s help, I can’t thank her enough.